FAIRFIELD — Good times were biting Saturday morning when the P.A.L. hosted its annual Trout Derby down at Gould Manor Park. Over 100 kids threw hook, line & sinker into this relatively noncompetitive event, which has taken place annually for more than 50 years. 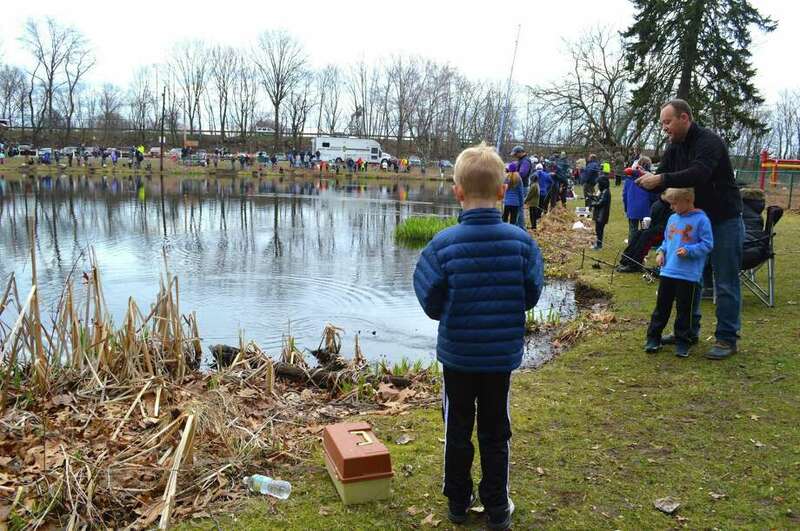 “We’re just trying to get the kids out of the house and have them enjoy a day of fishing,” said Fairfield Officer Scott Sudora, who coordinated the event. Prizes go to the biggest and the smallest fishes caught, but there are many other prizes for kids participating. The P.A.L. stocks the pond, which is limited to young fisher people, with two kinds of trout. “We buy the fish and the kids fish here through the season,” Sudora said.